John (JJ) grew up in Elkhorn, Nebraska and is the Grandson of Moostash Joe. He was surrounded in a family known for travel. As time went on he craved travel, and he began to plan his entire family vacations at the age of 9 with a trip to Disney World. He is a graduate of Midland University with a Bachelor of Science in Business Management and an MBA with a concentration in Entrepreneurship. While in college he worked in a travel office eventually working as a tour director, traveling all over the United States and Europe. 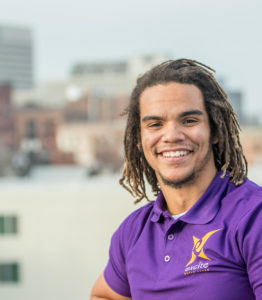 After college, he worked as a banker for a major US bank before founding Excite. He has facilitated countless magical moments with thousands of people while touring. JJ is Co-Owner and Travel Extraordinair at Excite Inc.
Cindy began her entrepreneur career when her and husband, Tom opened and managed a restaurant in small town Iowa. 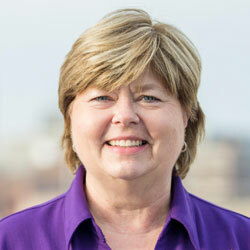 After 6 years Cindy began her career in finance with a local housing design firm in Omaha, NE. After 26 years at the firm, she moved on to work in the tour and travel industry where she managed all of the tours. While in the office she enjoyed making sure the customers had the best vacation possible and that all of their details were taken care of. Cindy also enjoys dreaming up experiences and developing great relationships with her customers. She is the mother of an amazing daughter currently in Teach for Teach America. 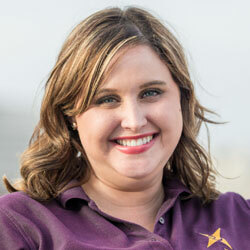 Cindy is Co-Owner and Experience Advisor at Excite Inc.
Steph is a resident of Bellevue, NE and is one of our guides! During the day, she is a therapist for Bellevue Public Schools, helping place students in learning environments that best fit their needs. She is surrounded by a beautiful family that loves to travel with her! In fact, that’s how we met Steph, on one of our tours! Take a trip with her and you’ll know why she is perfect for Excite! Neiman is a currently a student at Peru State College. He has strong passion for photography and travel! Neiman joined the Excite team in October of 2017 as photographer and our social media expert! His expertise in photography gives the fresh fun look Excite’s tour are all about. Neiman also has a knack for guiding and can’t wait to travel with you! 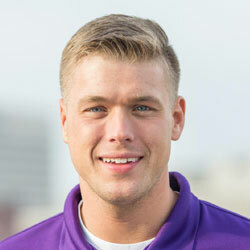 Kyle grew up in Elkhorn, NE and has a passion for fine arts, media, and technology. He is a technician with the Elkhorn South High school Band and supports several fine arts programs. 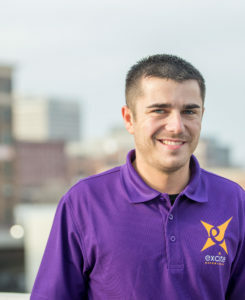 Kyle assists our team with business development, community engagement, and guides several of our tours! Judy joined the Excite team in 2019. She grew up in small town Nebraska before meeting her husband, also an entrepreneur, and settling down in Plattsmouth. She retired from First National Bank after 33 years of service in payroll. Judy assists in the office, making sure everyone’s paperwork is in order before they head out on their Experience. We are thrilled to have her on our team!